Former minister officially cancels Likud membership in move needed to start new Knesset party, after Monday announcement. Former Minister Moshe Kahlon officially cancelled his membership in the Likud party on Tuesday, in further confirmation of his intentions to form a new political party even as reports indicate the groundwork is being laid for spring Knesset elections. Cancelling his membership is a move Kahlon was required to take in order to form the new party which he announced on Monday, in a meeting with representatives from the Institute of Independent Workers and Small Businesses. At the meeting Kahlon said "my colleagues and I intend to establish a new political framework" when new elections will be called to address the high cost of living. Kahlon also criticized the government, saying it "needs to decide to tell the large companies and food companies: 'gentlemen, I'm giving you a year-and-a-half to get organized because I'm going to open the market to competition and break up the centralization, lower import taxes and bring food here that can be bought for the same price as abroad." The comment followed the recent Berlin campaign, which sparked an outcry through it's Facebook movement calling on Israelis to emigrate for lower prices abroad, noting that some Israeli goods are cheaper in Berlin than in Tel Aviv. 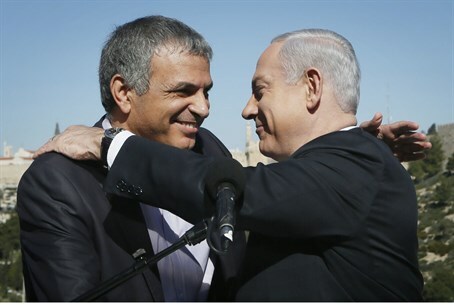 In the last Knesset coalition Kahlon enjoyed popularity before surprisingly announcing before the last elections that he was leaving politics. Two days before the election, he was tapped by Prime Minister Binyamin Netanyahu to head the Israel Land Administration (ILA), but Netanyahu reneged on his promise after forming his new Cabinet. Likud Central Committee Chairman MK Danny Danon last month accused Netanyahu of splitting the Likud in driving out Kahlon, as well as Interior Minister Gideon Sa'ar who recently announced he likewise is leaving politics. As for what Kahlon's new party would look like, the former minister hinted to its stance in April when he complained that the "extreme right" had taken over Likud, and commented that he missed the "old Likud" he said had focused on social issues.